Benson, Arizona serves as the western gateway to the scenic and historic attractions of Cochise County. Benson’s 3,585-foot elevation creates a moderate climate, with summer highs around 96 degrees and winter days about 62 degrees. Benson, Arizona is located in the historical San Pedro Valley and offers proximity to both Tucson (45 miles northwest) and Sierra Vista (30 miles south). The vastness of the landscape, the majesty of the mountains and the cleanliness of the air make this a truly pleasant place to live. 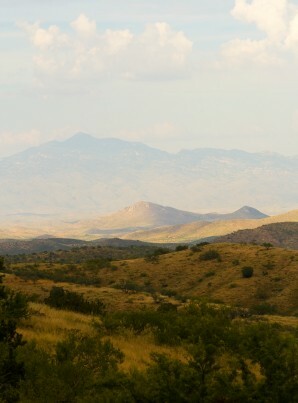 Benson and the San Pedro River Valley are rich in natural wonders and provide a home for a myriad of wildlife, including more than 500 species of birds. Benson is a growing community with a population of nearly 4,000. It is a community that offers the warmth and friendliness of a small town while at the same time providing quality education, medical, cultural, and recreational opportunities. Its close proximity to the Tucson, Arizona metropolitan area makes a wide range of specialized services available to the residents of Benson. Well built apartments in detached duplexes on excess land with room for additional units. Quiet cul de sac. Most have tile flooring upgrades and well maintained.